The Netherlands wants to be on the forefront of smart building. This is not just about energy efficiency, it’s about making the overall usage of the building better using data and IoT related devices. Earlier initiatives from energy efficiency now are expanded into climate, utilization and comfort; all to create the best working and living places in the war on talent. The most sustainable office building in the world, the Egde- Deloittes headquarters in Amsterdam, contains over 40 000 sensors to support tenants and their staff to optimize their personalized experience while working in the building. Deerns, OVG , CGI and Mapiq are at the forefront of this industry, and recognized worldwide. Amsterdam is also building the world’s first cradle to cradle business park. Government supports smart building from efficiency perspective as well as from an infrastructural/smart city perspective. 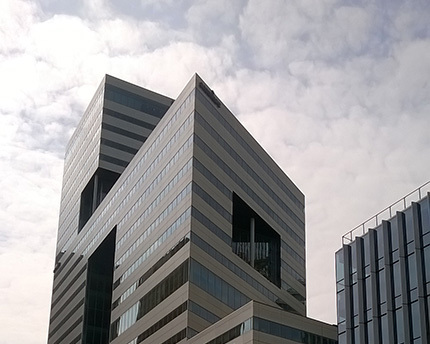 The most sustainable building in the world (highest BREAM score) is Deloitte's HQ in NL? That Nuuka from Finland teamed up with Dutch developer OVG to deliver the most prestigious buildings, such as Unilever's HQ in New Jersey, US? That the Finnish delegation was warmly welcomed in the Netherlands in June 2018 when visiting Provada, the Dutch Real-Estate fair? There is a quick filling trend in residential energy and comfort related Domotica, analysis and portfolio management. Home owners and housing corporations are actively looking for solutions related to IoT and big data. We have operated in the smart building industry for over 2 years, and created a network on the suppliers’ side, partner side, regulator and benchmark side. We successfully closed deals for our clients with large players in the industry. We have access to the largest smart building events through our earlier experiences and network. Contact Petra Wullings for a chat about the High Performance Building Industry in the Netherlands, we are more than happy to help you! Keep posted about the business opportunity news in The Netherlands and receive all updated Fact Sheets in your mailbox.